Choi Jin-sil had two children that she left behind. They are Choi Hwan-hee (older son) and Choi Jun-hee (younger daughter). They now live with their maternal grandma, Jeong Ok-suk. In 2017, Jun-hee claimed her grandmother abused her. As the media started to blow up, and negative comments occurred, Jun-hee said that the problem has been resolved. Choi Jin-sil’s death not only affected her children life, but also her ex-husband and younger brother. There has been a domino effect for the people closest to Choi Jin-sil. Two years after her death, her younger brother, Choi Jin-young, who also an entertainer, committed suicide by hanging in his home, on March 29, 2010. Following Jin-young’s death, Choi Jin-sil’s baseball athlete ex-husband, Cho Sung-min, was also found dead by hanging, in his girlfriend’s bathroom on January 6, 2013. Finally, shortly after, on November 27, 2013, her last manager was found dead by hanging in his bathroom. Manager Park was an important witness for Choi’s death. After the investigation he started taking antidepressants. 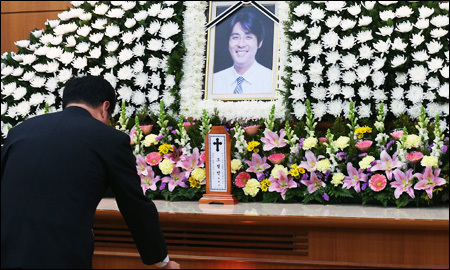 Choi Jin-sil’s death also left a deep sorrow in her co-star, Son Hyun-joo. He felt guilty for failing to keep his last promise to Choi. One day before the tragedy, when they were working together, Choi decided to go home first because she didn’t feel well. She asked Son Hyun-joo to meet her in a restaurant, but Son Hyun-joo was too tired because of the full day of shooting. He thought that if he had met her that night, things would be different. People hope that Choi Jin-sil’s family and close friends will find happiness and peace in life, and break the chain of “connected suicide”. 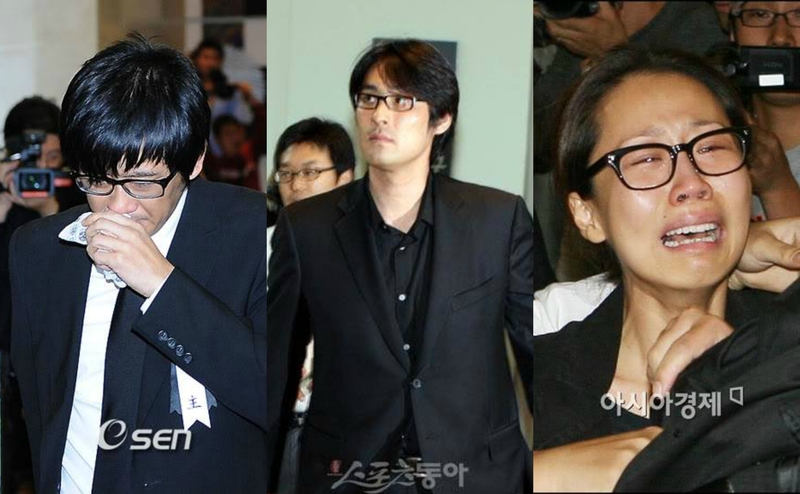 The funeral was held on Saturday, December 4, 2008, in Samsung Seoul Hospital, South Korea. It was a solemn and dispirited atmosphere. The funeral was attended by many people, including her family members, ex-husband, best friends, and TV Celebrities. Everyone seemed shocked by of her sudden death, leaving a deep pain and miserable wound. 14. Sohn Hyun-joo : co-star in Rose-colored Life, one of Choi’s best friends. Actor Lee Jong-suk Is Always Concerned About His Appearance, Check out His Hairstyle!